Wesley Golden is a dedicated safety professional that has held positions in almost every capacity that a safety professional can. Wes began his career as a firefighter for the Clarksville fire department where he learned the criticality of safe practices first hand. After earning his certification as an EMT, Wes continued his career at Dow Corning where he worked in safety & loss prevention. Following Dow, Golden worked in the automotive sector for two years where he was able to slash his company’s incident rate in half. After numerous positions away from his home of Clarksville, Wes has returned as the Health & Safety Manager for the entire city – a group of over 1,300 people – where he’s reduced incident frequency through the implementation of a proactive loss prevention program. 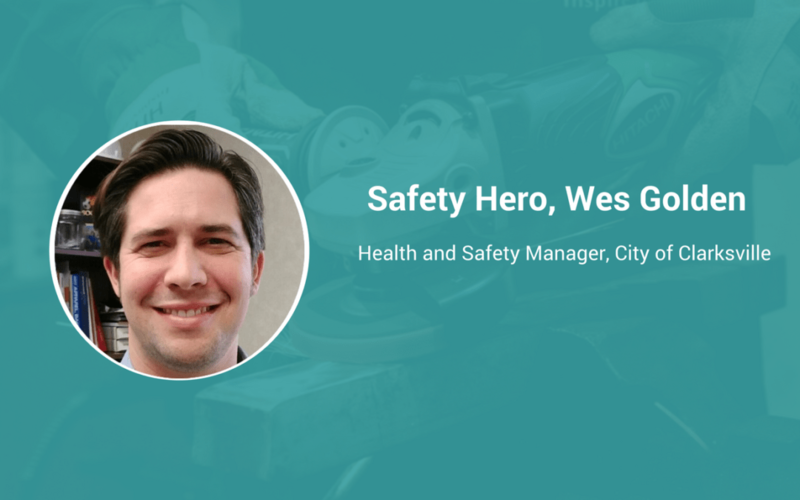 A faithful family-man, Wes aims to help others and continues to teach OSHA 30 Hour Classes to share safety best practices and compliance with others. At the fire department, I enjoyed going on calls and helping when things happened or accidents occurred. I never wanted for bad things to happen, but when they did I was eager to help. After that tenure, I wanted to continue my service to others. I found that safety would allow me to prevent bad things from happening in the first place, and if they did happen, I would be the one responsible for fixing them. Effective Safety Leaders need to have a wide range of skills to do the job well. They need to be fighters in the sense that they have to fight for the policies or procedures that will work best. They need to be salespeople in that they need to be able to convey the importance of safety to every party within the organization. Lastly, they need to be auditors in that they must be diligent in how they inspect their programs and processes. When I was a firefighter there was one night in particular that had a profound impact on me. In one single night we received two calls, one where we lost a baby, and one where we saved a baby’s life. It made me think – what was the reason for the first baby to die and the second to live? Was there any way we could have saved them both or prevented the accidents in the first place? That’s how I continue to think – what can we do to prevent bad things from happening in the first place? That safety is all about the act of caring – caring for yourself, the people around you, your loved ones, and your organization. My diverse background and work history. I’ve been a computer tech, a mechanic, a small business owner, a construction field worker, an office worker, and I’ve worked in the chemical and automotive industries. Those experiences make it very easy for me to put myself in someone else’s shoes because, in all likelihood, I’ve been there! The way safety people are perceived as “police” rather than helpers. If we could get everyone to realize that our job is to function as a helper and resource, safety professionals would be far more effective, and organizations would be far safer.